Hemp Bombs CBD Sleep Gummies are your path to getting the best night’s rest. 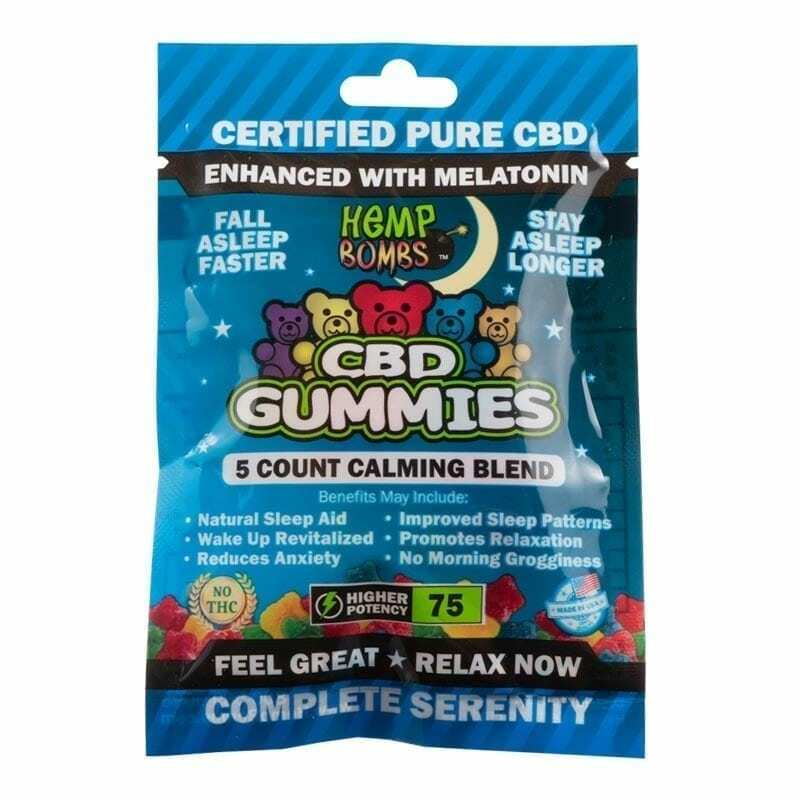 Each CBD Sleep Gummy contains 15mg of CBD and 5mg of Melatonin. Our CBD Sleep Gummies are sure to help you fall into a relaxing slumber faster and stay asleep longer. Our formulated blend of CBD and Melatonin has the potential to combat and relieve irritations that keep you up at night such as pain, insomnia, stress, and much more. Sourced from premium, superior-grade Industrial Hemp, our CBD is purely isolate and will not cause any psychoactive effects. Instead, CBD will promote a calming and tranquil state of mind that will ease you into a peaceful sleep. 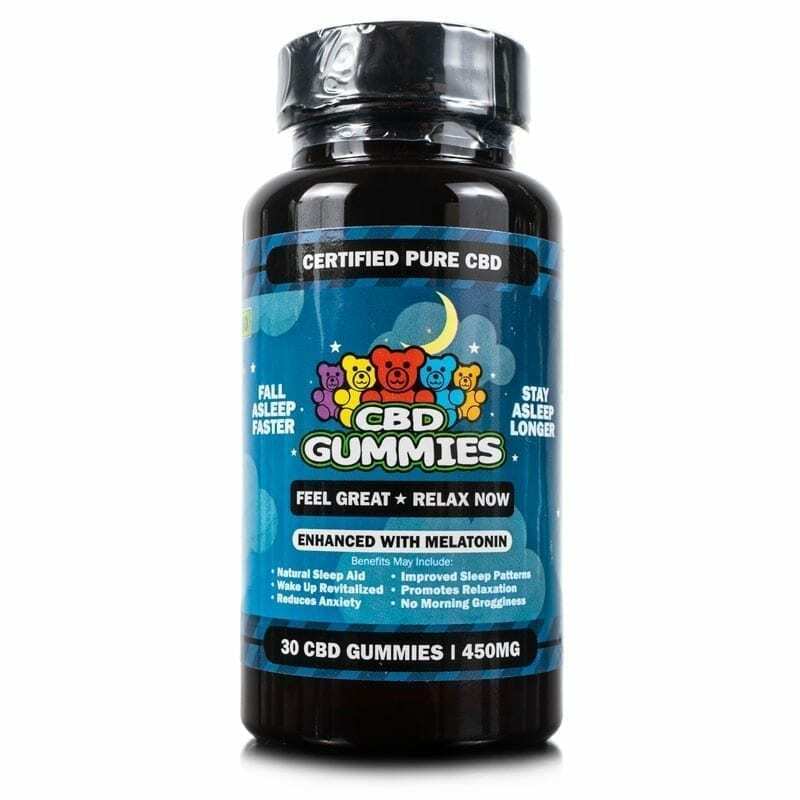 Another added benefit of Hemp Bombs CBD Sleep Gummies is that you won’t have to deal with the usual morning grogginess. You’ll wake up feeling revitalized and mentally clear after consuming our CBD Sleep Gummies the night before. Extracted from premium Industrial Hemp, the CBD used in our Sleep Gummies is organic and all-natural. Hemp Bombs Hemp is grown using suitable methods in soil free of any harmful chemicals, pesticides, or toxins. Our sourcing and cultivation methods help ensure that our CBD is a valuable commodity to your health. Combined with Melatonin, a natural hormone produced by our bodies, our CBD Sleep Gummies are a natural sleep remedy that doesn’t contain any harmful additives. CBD contains natural calming properties that can help promote a relaxing state of mind. CBD directly influences your Endocannabinoid System’s nerve receptors that control serotonin levels. These receptors are located throughout your brain and body and control stress and energy levels. CBD Sleep Gummies activate your cannabinoid receptors after consumption and encourage a comforting wave of calm. A cannabinoid is a natural chemical compound that acts on cannabinoid receptors in cells throughout your body. CBD is one of the most prolific cannabinoids known and can alter neurotransmitters that send stress and anxiety signals to your brain. In return, Sleep Gummies can positively promote a better mood, emotional behavior, and sleep while reducing stress and fears. Pain may be the reason why you are unable to attain adequate sleep at night. Back pain, aches, and cramps can cause insomnia and restlessness. Similar to promoting relaxation, CBD is able to bind to pain receptors linked throughout your brain and immune system. Cannabidiol stimulates cell response that influences anti-inflammatory and painkilling effects. 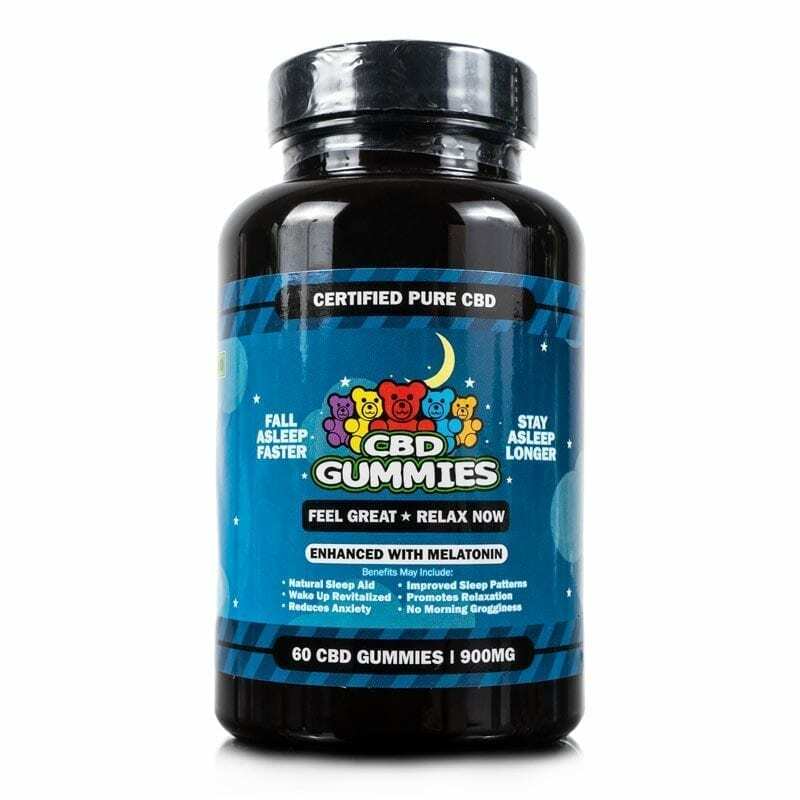 Consuming CBD Sleep Gummies before bed has the potential to be effective in treating pain management and allowing you to fall asleep discomfort free. Some sleep medications may leave you feeling tired and sluggish the next morning. Hemp Bombs proprietary blended CBD Sleep Gummies may leave you feeling revitalized and awake in the morning. While our Sleep Gummies help you fall asleep quicker and stay asleep longer, they also promote no morning grogginess. The combination of CBD and Melatonin can help regulate your sleep cycle, improving the amount of energy you have in the morning. Wake up feeling clearer mentally and refreshed physically.